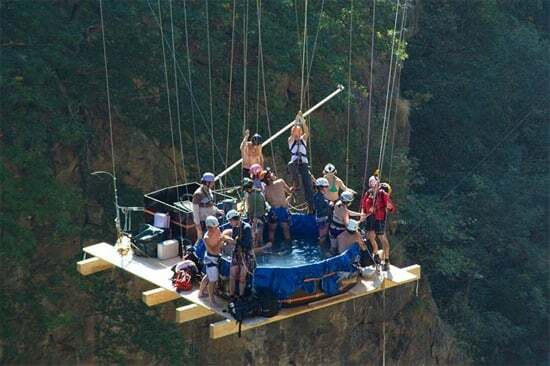 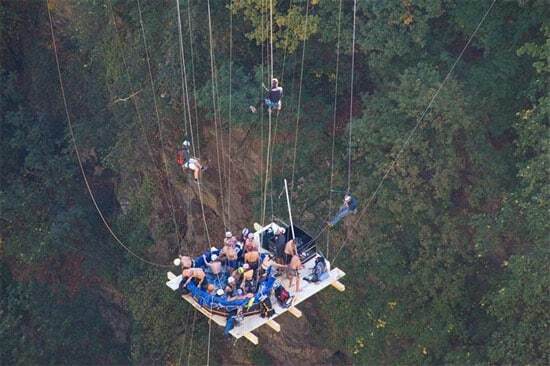 Extreme hot tubbing involves placing a jacuzzi in the sling of a crane and then lowering it over a cliff, so that a bathtub full of extremely crazy people are suspended in midair. 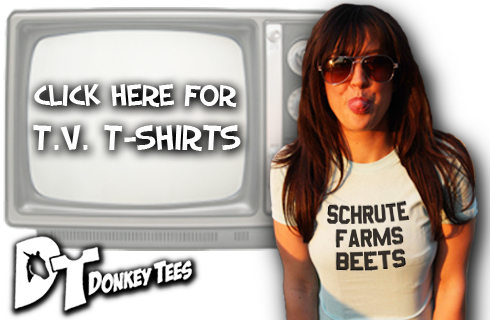 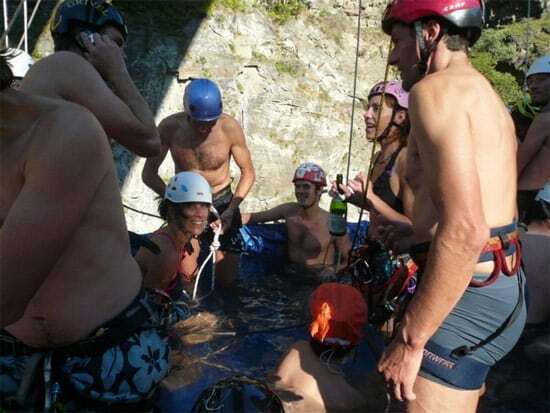 So far they’ve tubbed it up in the Alps and Andes, among other places, always looking to up the ante. 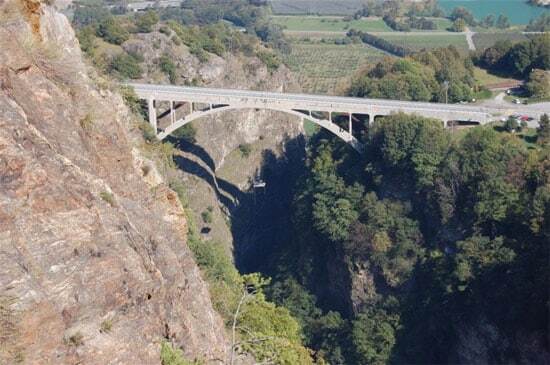 Their latest gathering was at Gueuroz Bridge in the Swiss mountains which crosses a 600 ft. high gaping abyss, which is bound to be nuts because it has the word abyss in it, and it’s not like they use that word for just any old crack in the earth. 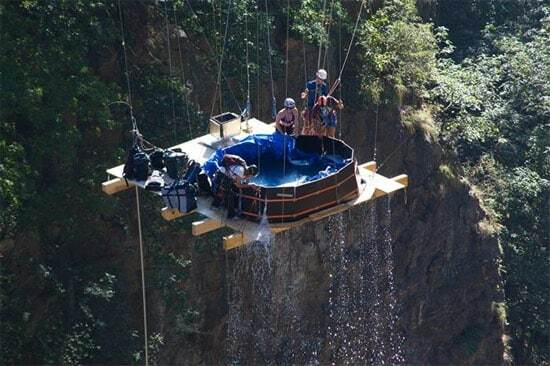 Somehow karma failed to send them pummeting to their doom, and they spent quite a bit of time literally just hanging out in a hot tub. 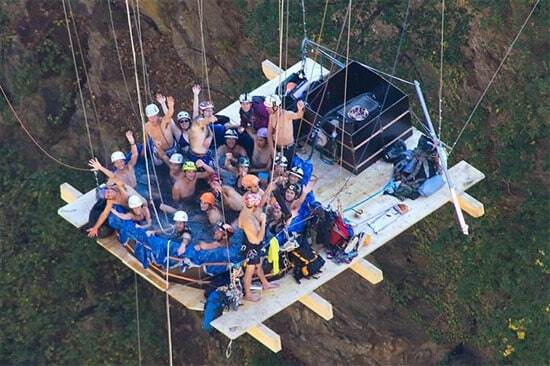 The whole jacuzzi hanging experience was caught on tape, and will soon be made into a documentary, and quite possibly a blooper reel. 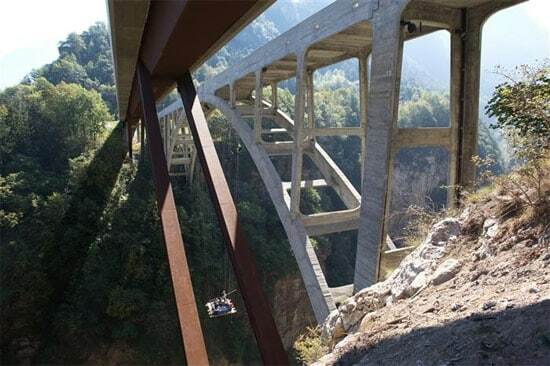 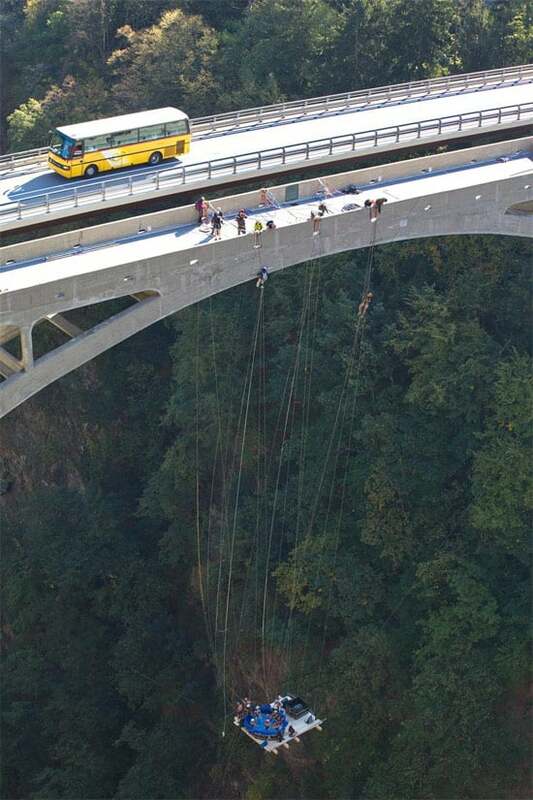 For those of you who aren’t afraid of heights, here’s another extreme sport to check out.